Celebrating your love is not only for anniversaries or Valentine's Day. 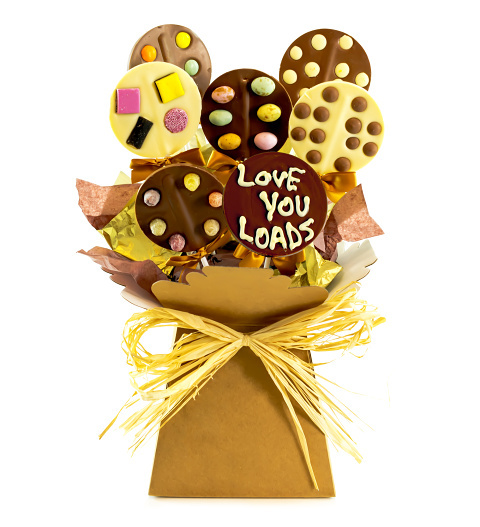 You can show that special somebody how much you care whenever you like with this lovely, colourful lolly pop gift! Why wait to show that special person in your life just how much you care? We have arranged and packaged this gift so that it's ready to impress any lucky recipient! Included in this selection of lollies is one with “Love you Loads” written on it. Add a personal message in the card and your partner, spouse, or love interest will be truly impressed!